Ideal for construction site delineation, improved traffic control and increased work site safety. 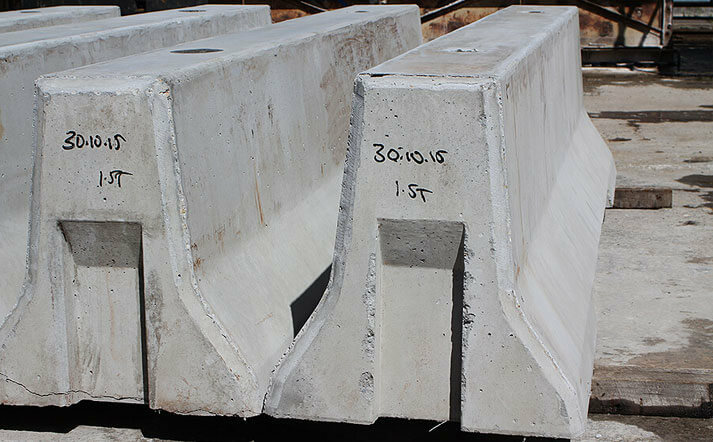 3 metre precast concrete jersey barrier offering maximum protection. It is easily maneuvered on site with a forklift or crane. 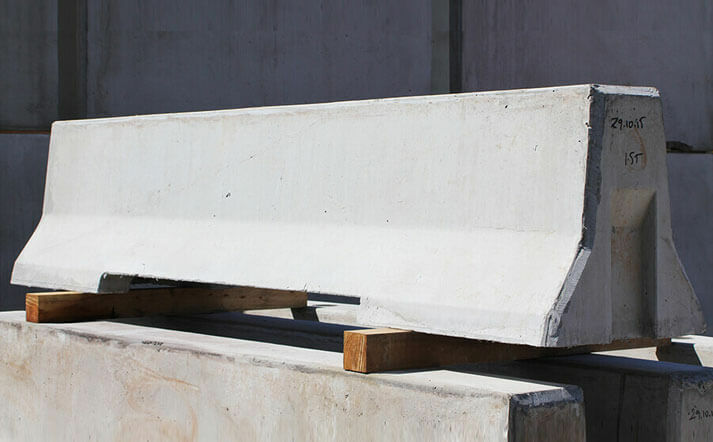 Commonly referred to as jersey barriers, these concrete road barriers are used on civil and construction projects to divide and control traffic. They are very effective at working as protection between vehicles and pedestrians. Additionally, concrete jersey barriers can help eliminate property damage, reduce accidents and provide a visual guide for drivers. A robust, 3 meter long barrier, the Fortress Fencing Utility barrier is constructed from quality precast concrete. It is easily maneuvered on site with the help of a forklift or crane. Extremely stable, it weighs 1500 kilograms and is tough to budge once positioned in place.